« Sea Bass season opened up with a bang for Pete and his crew from Philadelphia, as they all caught their limit of big ones! 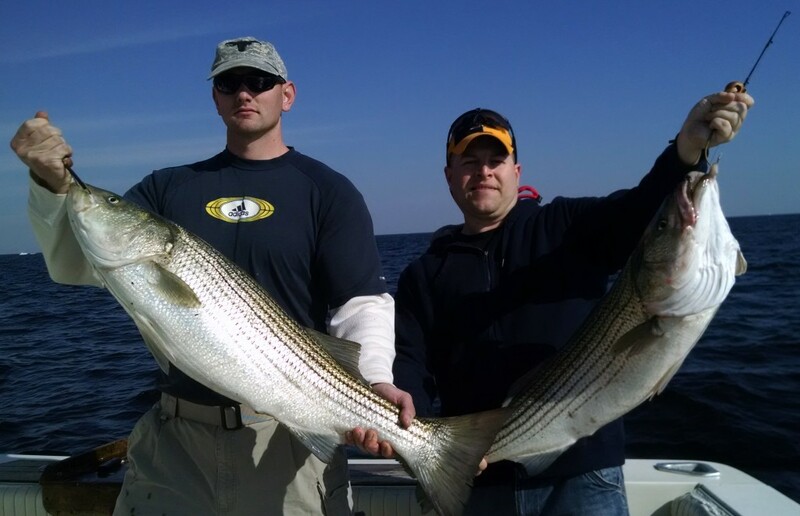 BIG STRIPED BASS are here on time and the bite is on. Mark and his crew from Mcguire Air Force base caught them good on the Blue Chip!